I've noticed lately that our home lacks tables. I'm just now getting around to adding night stands and accent tables. It makes decorating and lighting rooms so much easier. DUH! Recently I stopped by our local Goodwill and spotted this little gem. From across the store I thought it was a beautiful table in really great shape. Then I started looking at it and opened it. SURPRISE!!!! It's was a vintage electric sewing machine. With all it parts....that worked. 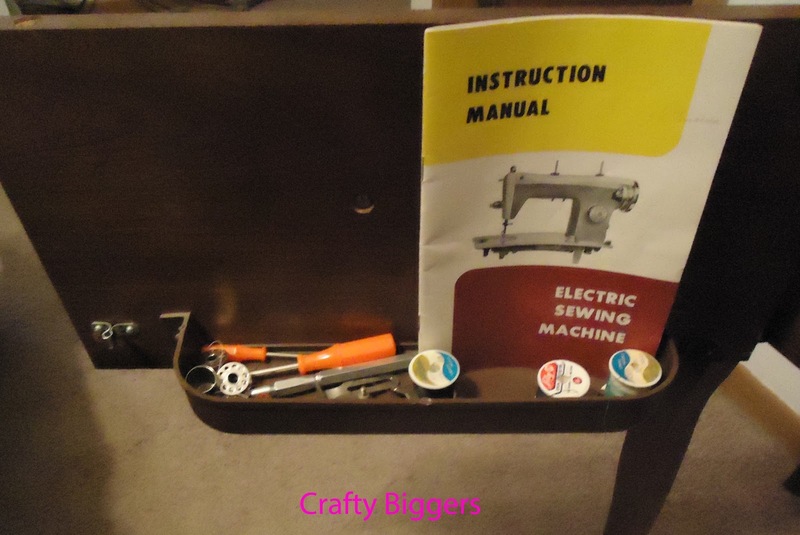 Complete with a door on the front that held the original instruction manual, all the original feet an bobbins and some vintage thread. For only $14.99!!! Seriously I about died. I didn't even think twice before I scooped this baby up. Isn't she beautiful. I've been trying to search out when exactly this was made, but I'm not having any luck. Modern Home Machines were pretty generic and there is no publishing date in the manual. 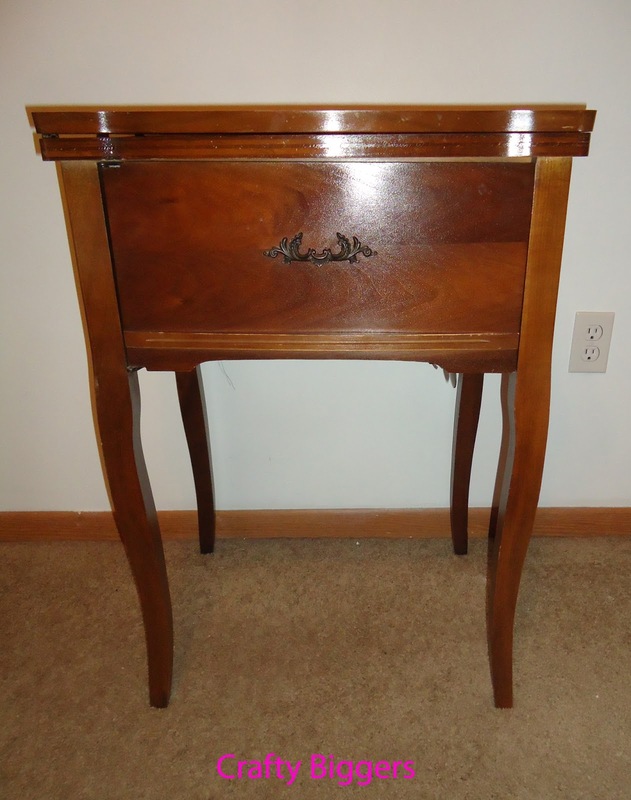 Based on the look of it and the table it's in my best guess is 1950's. If anyone knows more about this adorable machine I'd love to hear. For now she sits all tucked away in my room across from my bed, but as soon as I finally get my craft space organized I'm going to move her there. 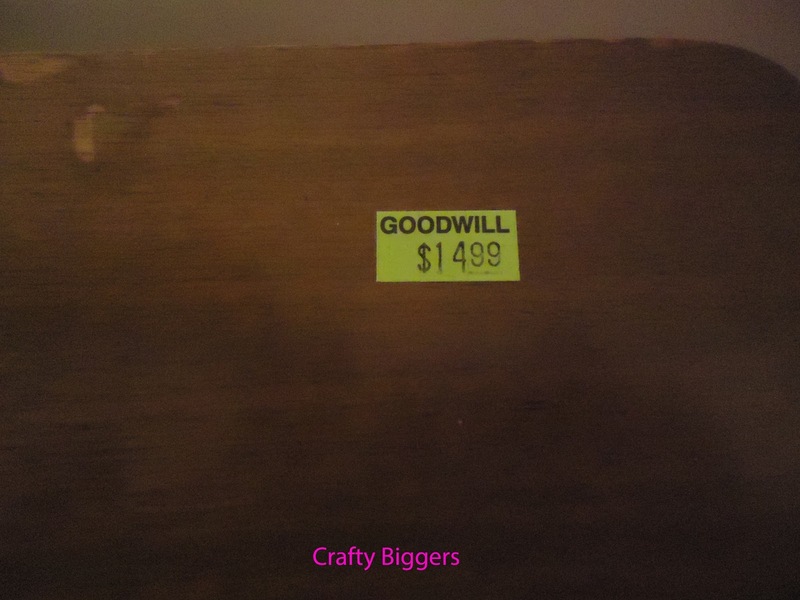 Have you found any diamonds in the rough lately while Thrift shopping? Wow. That is BEAUTIFUL. What an incredible steal. I can't believe that was $15. I hope you find out more about your fabulous find. Thanks! Spring cleaning must be in full swing around here because I've been finding some really awesome deals lately. I have two little sewing tables like that one but in blonde oak and another one in maple. Both have the original sewing machines and one was a gift to me from my mother, back in the early 70's and the other one was hers from the 60's. 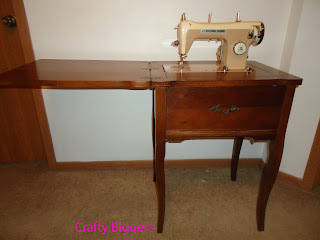 I still have them and as you know if you sew, you can never have too many sewing machines. I have these two from Singers, a small iron cast straight sewing machine that's heavy but small and compact. 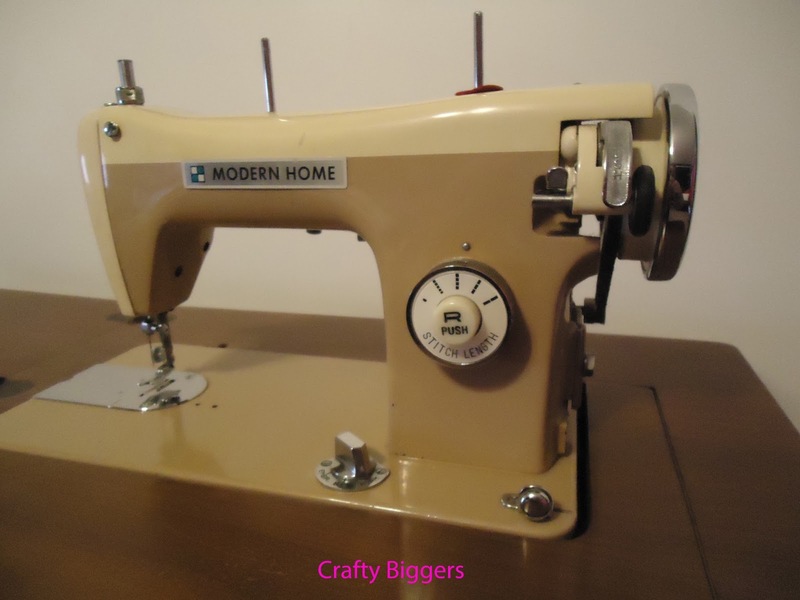 My mother used it to sew me dresses and I learned to sew on it. 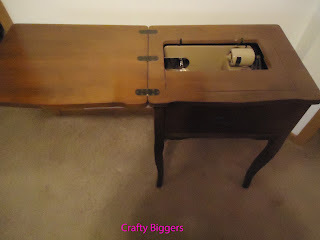 I have a peddle Singers sewing machine my grandfather bought for my mother back in the 30's when my mom was a teenager, it still works it just needs a leather strap, those things dry up and fall off quicker than you can lick an ice cream cone. I bought an Italian sewing machine later, a Japanese serger and an embroidery machine. Like I said, if you like sewing, you can never have too many of them! !